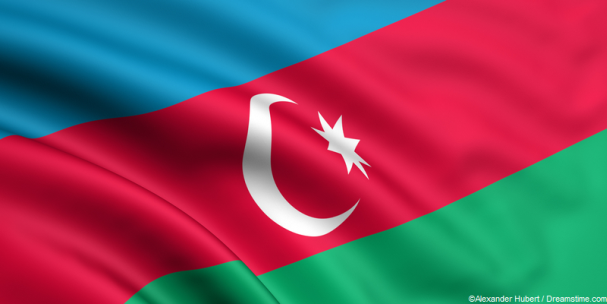 Evidence has emerged that the government of Azerbaijan has stepped up its campaign to block opposition online media in the country. According to the internet freedom organization VirtualRoad, there has been a significant drop in traffic to three of the country’s biggest online opposition media portals; Meydan TV, Azadliq Qezeti, and Azadliq Radiosu. Their investigations put this drop in traffic down to a form of censorship known as Deep Packet Inspection and claim to have found evidence of a “dedicated appliance” which they claimed was “interfer[ing] actively with web traffic”. Azerbaijan’s domestic internet is mostly delivered through a single provider, which makes Deep Packet Inspection a relatively cheap and effective means of monitoring internet traffic and, if so desired, censoring it. It is a technique commonly used in countries such as Russia, Iran, and the United States, but until now there had been no specific intelligence which pointed to its usage in Azerbaijan. Indeed, this is the first time that specific technical evidence has been identified which confirms that the government of Azerbaijan is indeed acting to censor the internet. At this stage, however, there is only evidence to support claims that these three sites have been affected. Previously, the tool which VirtualRoad has identified as being used for censorship was referred to as Delta Telecom. It was described by the US State Department in documents released by the Wikileaks website as “an informal mechanism for shutting down select internet sites”. That same document highlighted the gradual erosion of media freedom across the country as a result of the “personal insecurity” of Azerbaijani President Ilham Aliyev. The gradual clampdown on online freedom and opposition content has been just a part of that process. However, the Azerbaijani opposition media outlets have not taken the Government’s challenge to them lying down. One of the affected sites, Azadliq Qezeti, has already set up a mirror site which is still available in the country. To ensure it is likely to remain available, they have used a very clever trick which is borrowed from various Chinese online freedom activists looking to circumvent their countries Great Firewall. They have hosted the mirror site on Amazon Web Services. This means that to block the mirror site, the Azerbaijani government would have to block the whole of Amazon Web Service. As this is the world’s most popular cloud computer system, used by countless businesses large and small or apps, databases, management tools, and everything in between, doing so would cause huge domestic disruption and most likely create big economic problems too. Even the Chinese government, with their economic muscle, has not dared to block Amazon Web Services. They have tried to get undesirable sites removed, but to date, it appears that Amazon Web Services have been unwilling to do so. So, for now, at least one of the three sites is back up and appears likely to stay there. As much as the Azerbaijani government might want to act, it does not have the political or economic muscle to achieve something even the Chinese so far haven’t managed. But for Azerbaijani’s who want to access the other two sites, as well as the various other online outlets which are unavailable in the country, their best bet is to turn to a VPN, such as IPVanish or ExpressVPN. These will encrypt all online traffic and enable it to be rerouted via an overseas server, which circumvents online censorship of this nature and ensures users have access to a free and open internet.